Our Signature Teak Chair built for two. 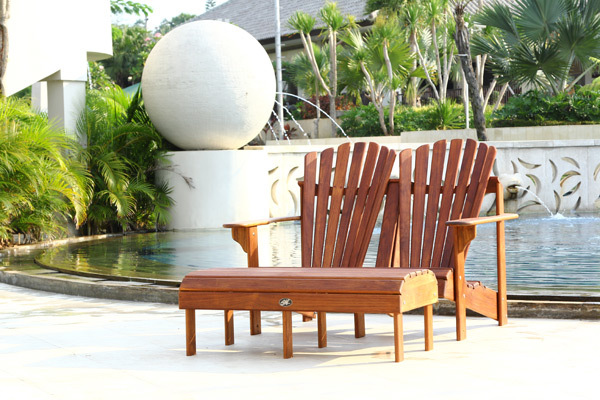 With all the features of our Signature Teak Adirondack Chair with twin curved backs, this is a loveseat to be adored. Finished Teak wood to enhance one of the prettiest woods in the world with rounded sculptured edges and smooth sanded surface. Curved back and rolled seats with wide arms to relax or rest a drink, giving you the comfort that will turn your sit down into a relaxing moment. Teak wood and Stainless Steel hardware combine to make this furniture that will last the ages.